When it comes to choosing a waterproofing membrane, quality is everything. 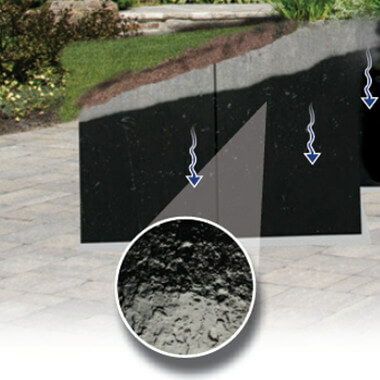 Buildings with dampproofing or inferior waterproofing membranes risk being damaged by the ever present danger of water. Mar-flex 5000 Waterproofing Membrane, a product years in development, was designed to remove the risk from choosing a waterproofing product. 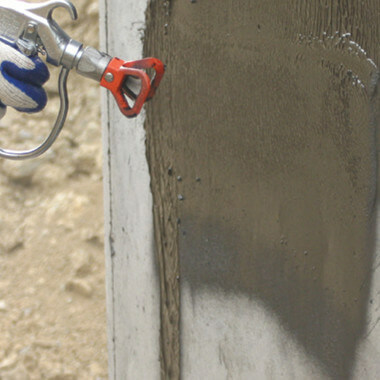 It can be applied to most wall foundations, comes in water-based and solvent-based options, and provides industry-leading waterproofing technology at an affordable price. In keeping with Mar-flex’s commitment to providing environmentally friendly building materials, Mar-flex 5000 is produced from 20% recycled content. Variations of Mar-flex 5000 Waterproofing Membrane are available for commercial and residential use, but both variations are more effective when used as part of a water protection system. Pairing the Mar-flex 5000 membrane with an approved Mar-flex drainage board ensures the highest level of protection, and qualifies the product for a limited residential warranty up to 60 years. Use the chart below to determine your level of warranty protection for residential applications. Commercial application warranties require prior approval and are given up to 5 yrs.